Yesterday, the WSOP Championship played down to 27 players. Each of the remaining players is guaranteed to take home $494,797. And although that is quite a tidy sum, it will be hard for players to leave now, knowing just how close they came to their $12 million dream. While the majority of the remaining players are not poker household names, the field still represents a wealth of tournament experience. Jamie Gold (pictured) will start today at the top of the leader board, where he has been for most of the last two days. He's a California player with the penchant for action they are known for. And while he has only played in tournaments for the better part of the year, he's got some nice scores going into this year's WSOP. Prahlad Friedman should be a household name, but for some reason sneaks under the radar screen of most poker enthusiasts. Fridman won a WSOP bracelet in the 2003 $1500 Pot Limit Hold'em event and came in 2nd in the 2005 WSOP Circuit Championship at Rincon. 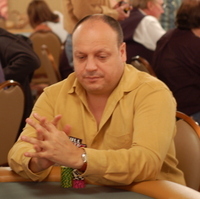 He is also well known in the world of internet cash games, where he plays at the levels you and I fear to tread. Even though he is mild mannered and understated in the field, Allen Cunningham is a pro that's on everyone's radar screen. With four WSOP bracelets to his name and 95 money finishes in major tournaments, he's hard to miss. For more discussion of the field and the list of today's starting chip counts, read on. 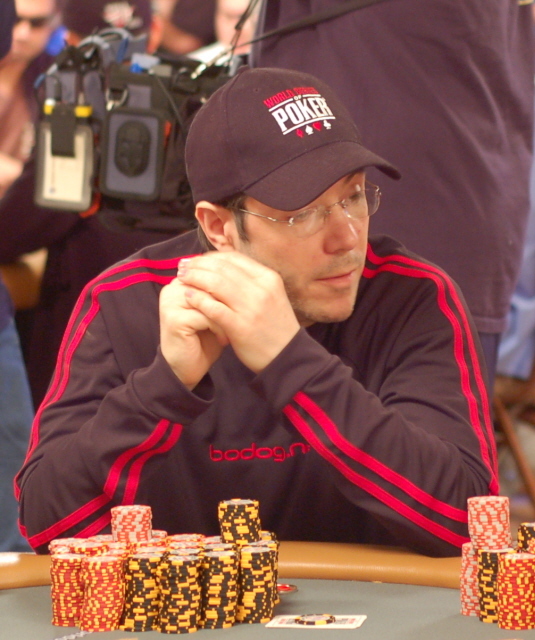 We still tend to be American-centric in our poker knowledge and perhaps that's the only reason why people aren't that familiar with Jeff Lisandro. Born in Perth Australia and now living in Salerno Italy, Lisandro (pictured) has yet to score WSOP bling...but don't let that lack of a bracelet fool you. Lisandro has made six WSOP final table appearances in his enviable career and won the WSOP Circuit Championship Event in Tahoe last year. Eric Lynch has already seen a final table at this year's WSOP, finishing 3rd in the $1500 Pot Limit Hold'em Event. Erik Friberg won the 2005 Sweedish Poker Challenge. And Sirious Jamshidi won the $1500 Limit Event at the 2006 WSOP Circuit Event in Tunica. If you do a little digging, almost everyone of the remaining players has had meaningful tournament experience.